Saudi Arabia’s Shoura Council approved a tax on undeveloped land in cities as the kingdom struggles to tackle a housing shortage without resorting to costly development in the desert. Details including the time frame for implementing the tax have yet to be determined, Council President Abdullah al-Sheikh said in a statement to the official Saudi Press Agency. The tax approved Tuesday will be applied in stages, he said. The regulation mandates a levy to be paid by owners of so-called white land, urban plots within cities often complete with roads, water supply and streetlights that lie empty because their owners have no incentive to build on them. Given initial approval by King Salman in March, the measure was referred for review by the government advisory body Shoura Council last month. The regulation still needs the monarch’s final approval. Pushing owners to build on empty plots or sell them will enable the government to avoid desert construction to solve a shortage estimated at 1.5 million affordable homes. 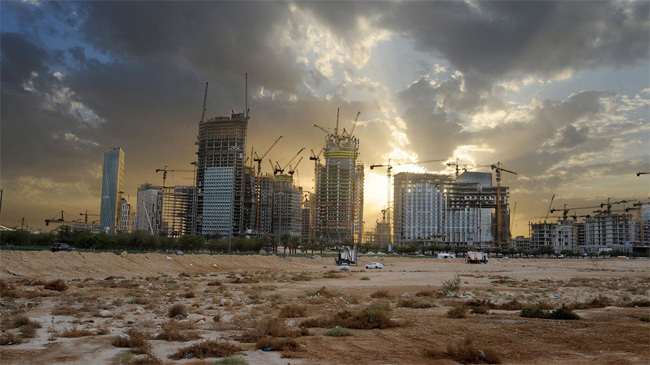 In Saudi Arabia, land is often used as a way to store wealth and plots are traded multiple times, inflating prices and disconnecting the land from its development value. Many developers earn more on trading land than building on it. Shares of developers including Dar Al Arkan Real Estate Development Co. have tumbled since the debate on the white-land tax gathered momentum. The council’s decision also comes as the world’s largest oil exporter grapples with plunging oil prices, though it says the tax isn’t aimed at raising revenue. The housing ministry declined to comment when contacted Monday by Bloomberg for details on the fee. Calls to the minister’s office were not answered. The issue of white-land tax has stirred debate among Saudis, with local newspapers following the issue daily in a country where new kings give citizens handouts and income tax doesn’t exist. Some complained that taxing one asset class isn’t fair since many people in Saudi Arabia use land as their savings. Others speculated about the government’s motive for imposing the tax after oil prices halved. "In reality, housing is not a problem of resources, it’s not a problem of land — it’s a problem of thought," the housing minister said last month. Poor urban planning, the lack of a saving culture and unrealistic expectations from citizens should all be addressed, he added. Soon after, the phrase "housing is a thought problem" was quickly turned into a hashtag on Twitter, attracting hundreds of satirical posts and political cartoons. Still, the decision to tax empty land is “a very good message for the people,” said Saud Al Tamamy, assistant professor of political theory at King Saud University. With “very effective implementation,” the regulation could help middle class Saudis own homes instead of renting, he said. The tax will provide “good revenue for the government” and help diversify the kingdom’s income away from oil, he said.